Cardio. That dreaded word! 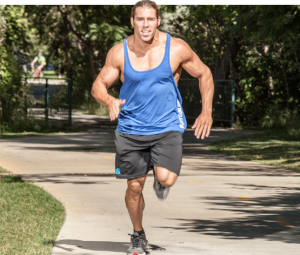 For most strength trainers and bodybuilders, the word cardio can send a shiver down their spine. However, everyone is different, depending on fitness levels, body mass, genetics, and a whole host of other factors. Assuming this calculation is correct, the optimum heart rate range for a 20 year-old would be: 120-140 BPM. This is actually a very low intensity, in fact for the less ‘exercise accustomed’, it will be a very slow jog. That is fine, as long as you don’t stray too far from optimum zone. Increase your fat burning potential with a testosterone booster. Sheer Strength Labs Sheer Alpha Testosterone Booster is a superb supplement, packed with powerful, natural ingredients pushing your body into a heavily anabolic state. Aside from packing on lean muscle and strength, increasing your testosterone levels also promotes fat loss by making stored fat available as energy. Why Such a Low Intensity? This low intensity is designed to keep you working aerobically, that is, with oxygen flowing into your muscles, and without getting out of breath. You should, in theory, be able to maintain this intensity for as long as you want, as your body is not getting into any oxygen debt, or building up any debilitating lactic acid. 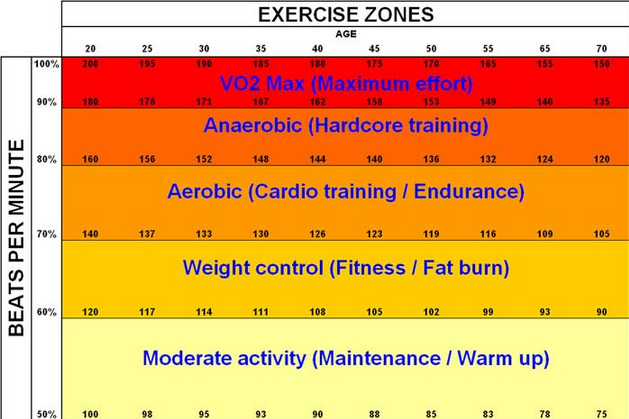 At this aerobic intensity, muscle fiber breakdown will also be limited. [caption id="attachment_4343" align="alignleft" width="400"] Pic: Zenergy[/caption] To understand why this intensity level is best for burning fat, you need to understand basic biochemistry. The body’s most commonly used energy source while exercising is glucose or blood sugar. Glucose is a simple molecule yielding around 4 calories per gram and is easily fed into the chemical cycles of the body to provide energy. However, fat contains far more energy, yielding more than double the number of relative calories as glucose. This makes it the ultimate energy source and is in fact why the body chooses to store it so readily. The problem with fat is it’s a more complex molecule, meaning it takes longer to break down and get ready for use as energy. That’s why low-intensity exercise is best for burning stubborn body fat. If you push your body too hard, it won’t utilize your body fat stores, and uses glucose, or the proteins from your working muscle fibers. The more you exercise at aerobic levels, the more efficient your body becomes using fat for energy. So, the fitter you become, the less fat you carry. Your body wants to burn stored fat for energy. Fat deposits are only designed as emergency back-up stores, so train smart, take it easy, and burn fat. Yep, you heard right, take it easy, and burn more fat! The steadier your exercise intensity, the more efficient your fat burning will be, at least at first. More experienced trainers can switch between energy systems far easier than novices. To track your intensity, use a heart rate monitor. The best type of monitors are those with chest straps. These readings feed to a separate device, such as a watch, or even an app on your phone. 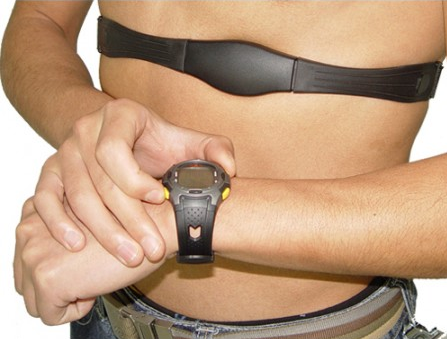 Look for a heart rate monitor that allows you to set your desired zone. These monitors sound an alarm as soon as you stray either above or below your target heart rate. How Long Should Cardio Sessions Be? Another myth is that you need to jog for hours and hours like Forrest Gump to burn fat. That is utter rubbish, it’s all about the intensity. Get your work rate right, and you will burn fat. However, jogging for 5 minutes really isn’t going to cut it. In fact, it may take your body a few minutes to switch on its optimum fat burning apparatus. Anywhere from 20 or 30 minutes, to around one hour, 3 or 4 times per week should set you up for a good amount of fat loss. Training for too long causes unwanted catabolic stress to the muscles and could be detrimental to maintaining muscle mass. Click your body into fat burning mode by a gentle warm up, then ease your way into your full workout. That is, if you’re jogging, walk first. Start at your normal walking pace and gradually pick up the pace over the first 5 minutes until you are jogging in your steady state, fat burning zone. A 20-year-old male, weighing 200 pounds, and working at 70% of his maximum heart rate, will burn approximately 400 calories every half hour. If this energy expenditure burns 80% fat, he could burn up to 40 grams of fat every half hour. Not bad for a casual jog. What is the Best Type of Cardio for Burning Fat? [caption id="attachment_4341" align="alignright" width="339"] Pic: Muscle gaining[/caption] As previously mentioned, the most important thing when trying to burn fat is hitting your target heart rate zone, and keeping it steady. Running may not be the best form of fat burning cardio for everyone. Running is stressful, and while it stimulates a lot of muscle and burns a lot of calories, the weight bearing aspect can make it difficult to regulate for the heavier among us. Cycling is one of the best ways to get a steady cardio workout because it is easy to regulate. If you find yourself working too hard, change down a gear and ease up a little. If you find yourself drifting beneath your target heart rate, pedal faster. 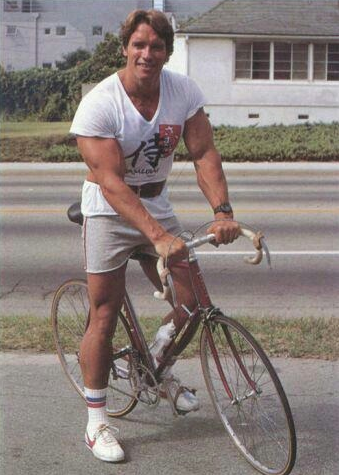 Cycling also eliminates the impact stress of running, so muscles recover faster. Swimming is another great form of cardio that works the entire body. But, you need a waterproof heart rate monitor to track your intensity. So, ignore the hype around these new, trendy high-intensity cardio workouts, and go back to the good old steady state method, today. This strips fat from your physique, and gives your cardiovascular system a great workout, making you fitter and healthier, as well as improving your recovery skills. When you get back from your run or bike ride, reach for Sheer Strength labs Sheer Recovery Post-Workout Powder. This excellent supplement is filled with all the extra ingredients your body needs to speed recovery and protect your hard earned muscle mass. Jonathan Warren is a national level physique competitor and personal trainer with multiple certifications including NASM, NCCPT, and IKFF. His specializations include mobility training and corrective exercise as well as contest preparation.